Is our future decided by us or for us? Three friends hide their personal struggles behind a mask of normality. While all seems well to each other, each is concerned about the path of their future and how they will deal with the obstacles that stand in their way. Can they learn to share their anxieties and end their isolation? 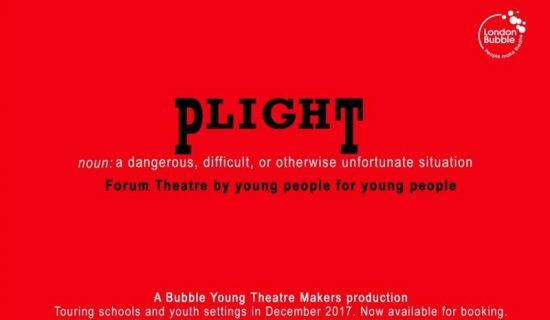 Bubble Young Theatre Makers’ latest forum theatre piece explores parental and cultural expectations, educational pressures and relationships in the lives of young people. The group will also perform to friends, family and invited guests on Friday 8th December at London Bubble.